Be sure to install the latest stable X11 from Xquartz.org (2.7.9 as of May 05, 2016). 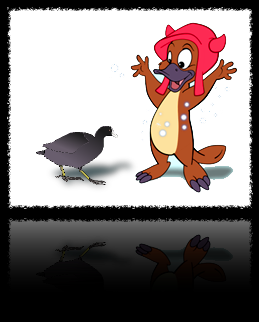 With considerable help from Nat Echols, we can now build coot automatically every night when a new revision is made available. I have three versions, built on three different computers. The 10.6 version is less current but it should run on 10.6.8 or greater. The 10.11 version is for 10.11 or later. The package installer will install everything in /Library/Coot. Unfortunately, it breaks if you move it. A wrapper shell script called "coot" will reside in /usr/local/bin/coot when you are done. 10.11: Go to the Stand-alone Coot for 10.11 page for a 10.11-specific version, 64-bit. 10.13: Go to the Stand-alone Coot for 10.13 page for a 10.13-specific version, 64-bit. The package installer will install everything in /Library/Coot. Don't move it. A wrapper shell script called "coot" will reside in /usr/local/bin/coot when you are done. Run it with that using the command-line, or launch it with the launcher app linked in part 3 below. I've made an Applescript "Coot.app" that will open coot in a new terminal session for you. If you have a Finder window open, it will go to the directory displayed in the frontmost Finder window. Otherwise it will go to the Desktop. This requires you to install the stand-alone Coot. It is merely an Applescript command to run /usr/local/bin/coot if you don't want to start coot from the command-line.